Last month Michael Manley of the People’s National Party replaced Edward Seaga (Jamaica Labour Party) as Jamaican Prime Minister. Since Jamaican independence, the PNP and the JLP have taken it in turns to administer capitalism on the island. In fact, Manley’s father Norman was a major figure in the independence movement and later prime minister, although his opposition to colonisation didn’t stop him from calling in British troops to help put down an armed revolt by unemployed youth in 1959. In the ‘60s the two parties became increasingly discredited in the face of a number of social struggles that took place. These included a strike at the Jamaican Broadcasting Corporation in 1964 (which was supported by strikes by sugar, bauxite, hotel and other workers), violent clashes between slumdwellers and police in Kingston in 1966 and further riots in 1968. 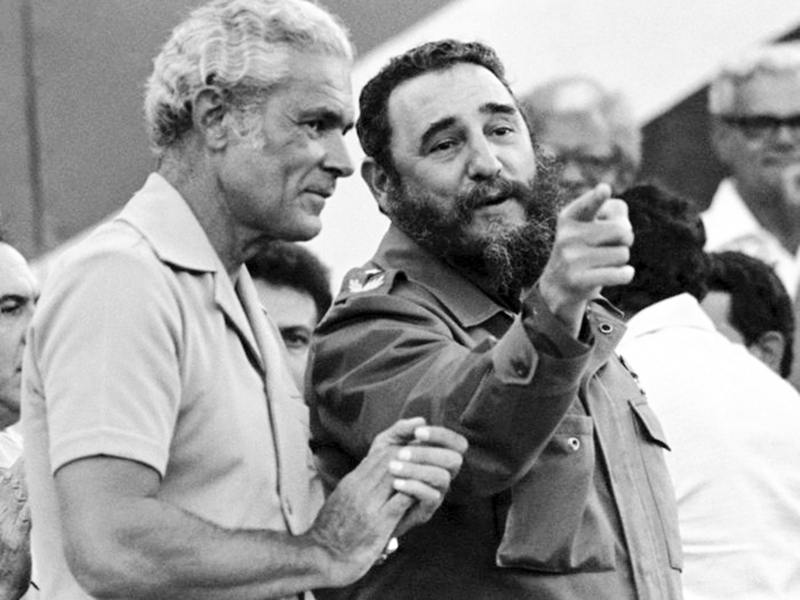 When Michael Manley took over as leader of the PNP in 1969, he gave the party a new "radical" image in an attempt to head off this social movement. Party candidates began to address rallies in patois rather than the Oxford English of the traditional ruling class, and when the PNP came to power in 1972 crumbs were thrown to the poor in the form of food subsidies etc. In 1974 Manley proclaimed ‘The days of capitalism are over, socialism is running the country now". This "socialism" was later seen to include signing a deal with the IMF under which food subsidies were abolished as part of a series of austerity measures. Between 1978 and October 1979 real incomes fell by 35%, and as resistance grew Manley sent in police and troops against strikers. In January 1979 there were rebellions in Kingston, Spanish Town and Montego Bay with over 500 barricades being set up in clashes with the police. Since Manley’s attempt to manage the economic crisis was clearly failing the 1980 elections were engineered to bring Seaga to power. Today Manley has adopted the "new realism" which now predominates on the left. According to the Financial Times, in recent years he has instead "wooed the White House and even won over members of the right wing Heritage Foundation which was so influential under Reagan." One significant policy is the proposal for the ‘public participation’ in decision-making, including a national advisory council with representatives from trade unions, ‘community councils’, business, the church etc. Such a corporatist" approach (attempting to integrate all parts of society into the state) is not new in Jamaican politics, and both parties have attempted to spread their tentacles into the heart of the working class through their control of rival gangs in the slums and trade unions. The JLP was actually set up by the leaders of the Bustamante Industrial Trade Union in 1944 while the PNP set up the rival National Workers’ Union in 1952. Manley himself started out as bureaucrat in the latter, his activities included working with the bosses of the bauxite plants to blacklist workers. The mobilisation of sections of the poor in support of rival parties in Jamaica has been an effective means of dividing any potential real opposition on the island. During the 1980 election over 700 people were killed in violence between supporters of the two parties; this year "only" 12 died. Whatever the difference in rhetoric between the PM’ and the JLP all they have to offer is more of this feuding, exploitation and poverty. The Red Menace, Number Two, March 1989. Taken from the Practical History website. Good article, we haven't got that much stuff on Jamaica here so nice one. This article is very well-written and informative. You don't hear much about Jamaica if anything at all. Thanks for the very interesting reading. I will come back. there used to be a Jamican anarchist publication called "Yard Roots" (1970s-198?). If I recall correctly, the comrade published it here in NYC....then back in the W.I.